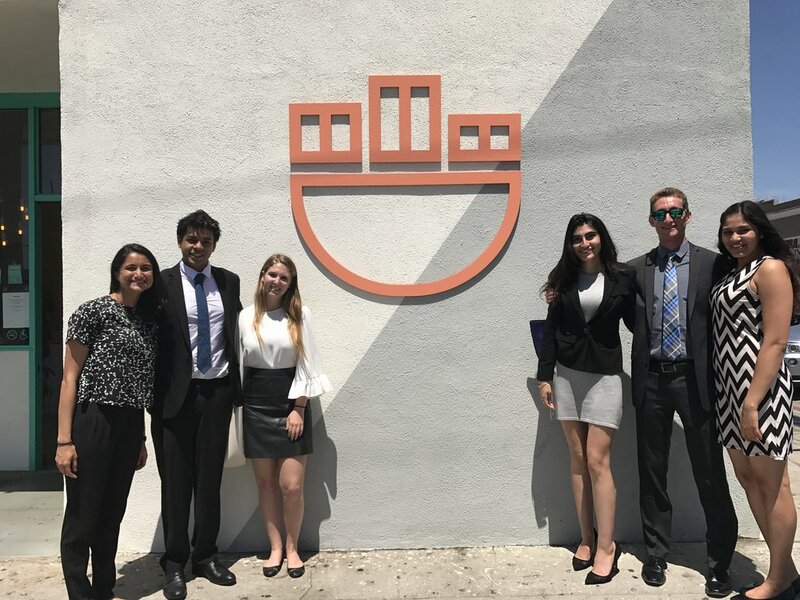 AIM Consulting (Association of Innovative Marketing) is a student-run organization established and managed by undergraduate students at the University of Southern California. We provide reliable and quality marketing consultancy services for semester-based clients across multiple industries. Our mission is to provide professional development and real world experience by working with clients on a variety of marketing services, ranging from advertising to market research. Although we tailor our teams to the specific needs of our clients, each project is usually executed by a team of three to four consultants with the support of the Executive Board. We are focused on building value for our community of clients and our undergraduate consultants. To our clients, we strive to provide innovative, yet tangible solutions, which lead to optimized decision making and increased sales and promotion. By combining a comprehensive marketing curriculum and experience with real clients, AIM Consulting provides its members the opportunity to thrive in the field of marketing consulting and beyond. Consultants traveled to Everytable to discuss their final findings and recommendations. (L-R: Everytable representative, Anchit Kher, Sarah Cherry, Melody Mohammadi, Baron Wilton, Yashashree Pisolkar). 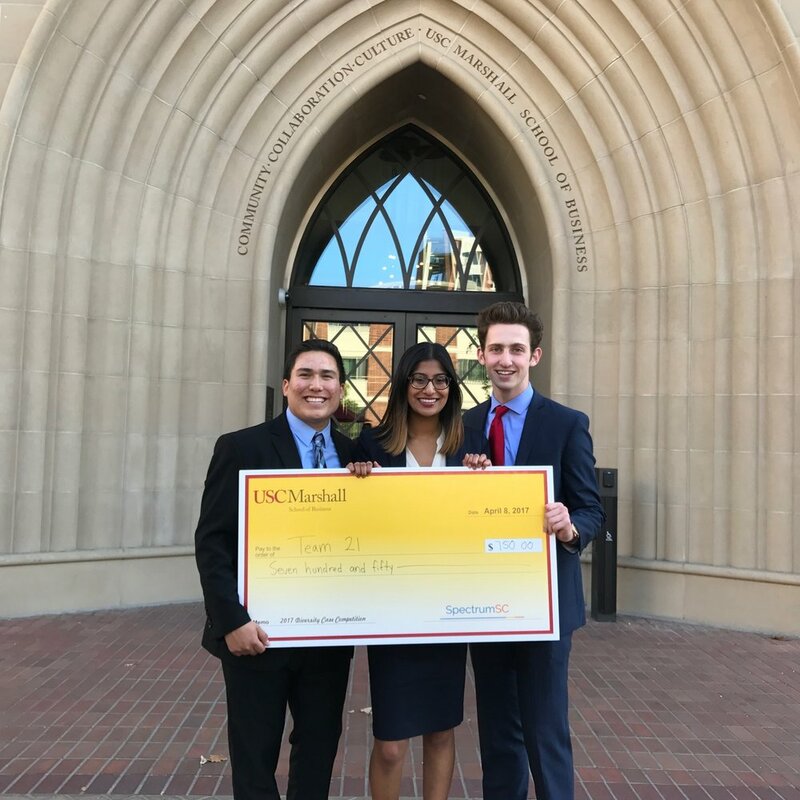 AIM consultants Erik, Geetha, and Daniel win big at the 2017 SpectrumSC Diversity Case Competition! Congratulations, and thank you SpectrumSC! 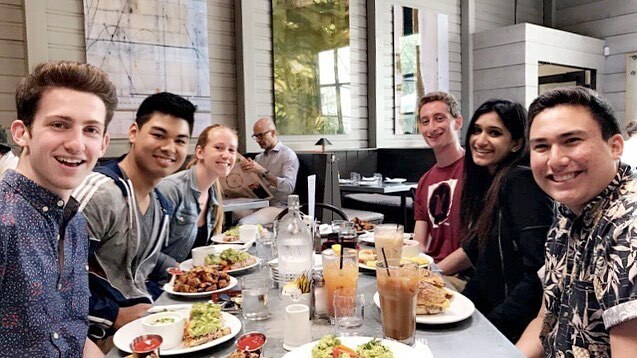 Sunday morning brunch with the AIM family! (L-R: Daniel McCormick, Neil Banerjee, Megan Black, Baron Wilton, Meghna Chakraborty, Erik Rocha). 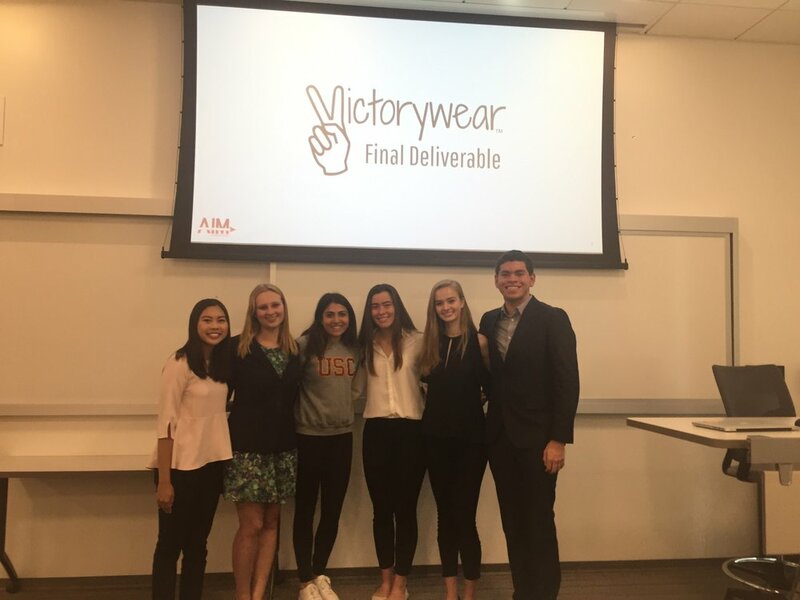 Consultants presenting to the founder of Victorywear. (L-R: Dani Toda, Emily Moneymaker, Victorywear representative, Emily Heuring, Emma Hunter, Josh Hunt). End of the semester banquet at Bacaro LA with the Spring 2017 AIM Consultants! Thanks to Giant Spoon for hosting one of our local company visits! Happy Holidays 2016 from the Fall 2016 AIM Family! 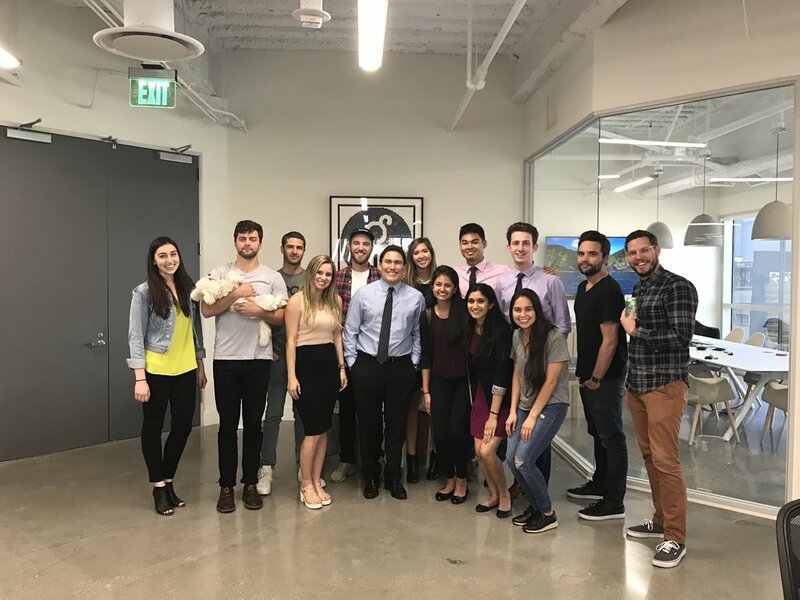 In an effort to better support our community, in Spring 2017 USC AIM Consulting coordinated a community outreach event with the Los Angeles Ronald McDonald House in Hollywood. The morning was spent preparing a delicious and nutritious breakfast for the families residing at the Ronald McDonald House in order to stay with young hospitalized children. We enjoyed getting to interact with these family, and help make their time at the Ronald McDonald House easier. To see more, follow USC AIM Consulting on Instagram @uscaimconsulting!